A writer and designer with 10 years of experience, Marlee has worked to develop content, messaging, identity, and community connections for non-profits, corporations, and artists around the U.S.
Marlee grew up in Central PA, and moved to Pittsburgh to study creative writing at the University of Pittsburgh. After receiving her degree and pursuing a Public & Professional Writing Certificate, she began consulting with local environmental nonprofits, raising funds to develop trail systems and repair waterways. 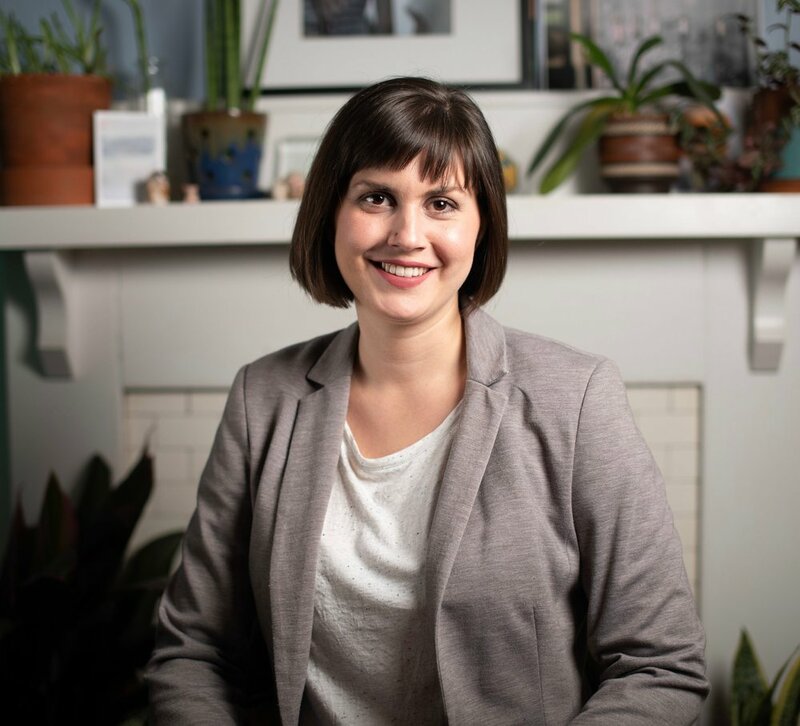 Utilizing her writing and design skills, Marlee began creating both communications and fundraising materials to help these nonprofits further their missions and goals, build cohesive identities, and engage more people. Through this work, Marlee became involved in community development, honing her writing, design, and outreach skills through the development of marketing, event, and branding strategies to promote community revitalization in Pittsburgh communities, including the Northside and Wilkinsburg. In 2017, Marlee was named one of Pittsburgh’s 40 Under 40, an award that recognizes 40 people under age 40 whose creativity, vision, and passion enrich the Pittsburgh region. A former Scottie freelancer, Marlee was brought on full-time in February 2019. Marlee helps campaigns, issue advocates, and more with their visual identity and graphic design needs. From creating logos to creating websites, writing and laying out annual reports, Marlee brings a wide-range of talents to the Scottie team.